Russian long range aviation from pre-World War I heavy military bomber to world's largest combat aircraft in this photo gallery. Russia’s long range aviation is the branch of Russian Air Force tasked with bombardment of strategic targets with nuclear weapons. It marked the centenary anniversary on December 23. Sikorsky Ilya Muromets (S-22 and S-23) is a class of Russian pre-World War I large commercial airliners and heavy military bombers used during World War I by the Russian Empire. Aircraft series was named after a hero from Russian mythology. Tupolev Tu-4 is a four-engine bomber that served the Soviet Air Force from the late 1940s to mid-1960s. It was a reverse-engineered copy of the US-made Boeing B-29. Tupolev Tu-16 is a twin-engined jet strategic bomber used by the Soviet Union. It has flown for more than 50 years. 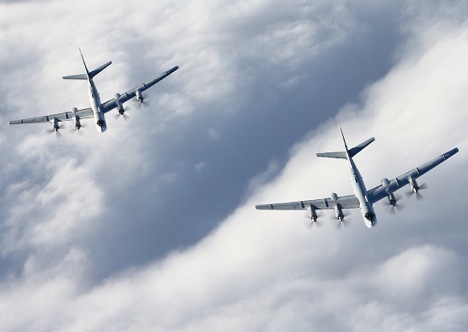 Tu-95 is an icon of the Cold War as it performed a maritime surveillance and targeting mission for other aircrafts, surface ships and submarines. It is large, four-engine strategic bomber and missile platform. The aircraft entered service with the Soviet Union in 1956. Tu-160 is a supersonic heavy strategic bomber. The aircraft entered service in 1987. It was given the nickname White Swan among Russian airmen. Tu-160 is the world's largest combat aircraft and largest supersonic aircraft built.